A simple but timeless Money Box design featuring a little elephant print as well as your little boy's name. 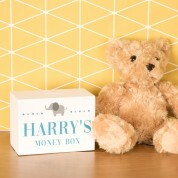 The design and personalisation are professionally UV printed onto the surface of the white moneybox. 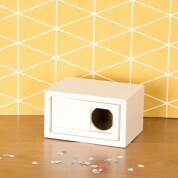 The savings box itself is a sturdy little box with a traditional wooden slide on the base. 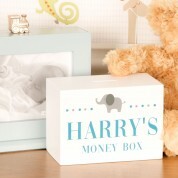 The design is personalised with your little boy's first name and is suitable for any gifting occasion for a young boy. 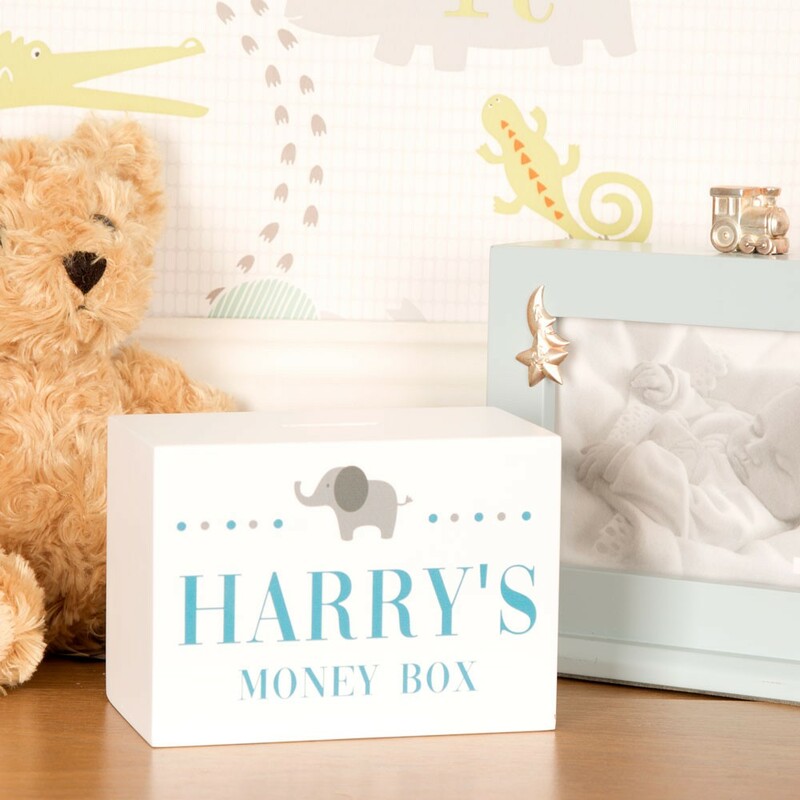 To personalise, simply provide the recipient's name.